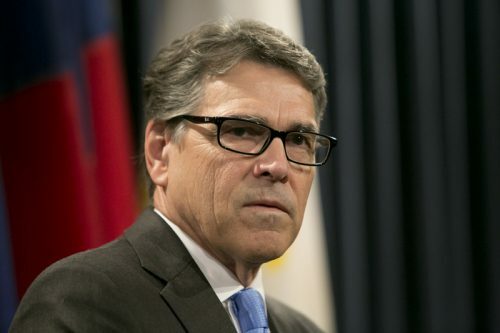 Yet Perry has previously supported abolishing the Department of Energy entirely. Famously, during a presidential debate in November 2011, Energy was the third federal agency that Perry couldn’t name while trying to list the three he wanted to eliminate. The appointment marks a full repair in Perry’s relationship with Trump. Perry called Trump “a cancer on conservatism” last year while the two men were in a crowded field for the Republican presidential nomination. But Perry was one of the first members of the Republican establishment to back Trump, once it became clear in May that the real estate mogul had secured the party’s nomination. – Throughout his campaign, Trump cultivated a number of loyal allies in Texas, making for no shortage of options as his transition team looks to staff the incoming administration. – Trump passed over U.S. Sen. Ted Cruz of Texas for U.S. attorney general, opting instead for U.S. Sen. Jeff Sessions of Alabama. – Abby Livingston, Texas Tribune. This story originally appeared here. Patrick Svitek contributed to this report. This entry was posted in KRTS News and tagged Economy, Energy, Energy Department, Oil and Gas, President-elect Trump, Rick Perry, Trump Administration, Trump Transition. Bookmark the permalink.